This is a collection of poems by seven women who were members of a poetry group, formed and mentored by Dr. Jan Bowman. 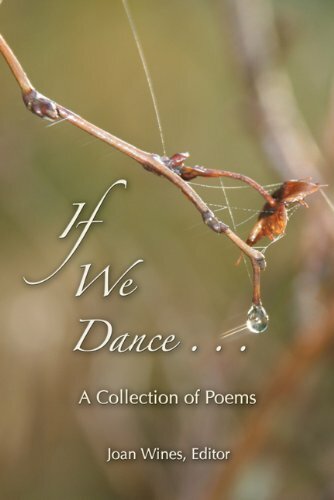 Following her death the poets collected their work to have this book published in her memory.<br /><br /> The title, <i>If We Dance</i>, comes from a Shang Dynasty oracle bone inscription. It expresses the poets invitation to dance with them in the magical world of words and images. The reader is encouraged to celebrate life and to join the dance by recording visual and verbal images on the pages provided. The book includes poems by Jan Bowman, Maggie Westland, Susan Corey, Joan Wines, Kathryn Swanson, Marsha Markman, and Eileen McGrath, with photography by Jeanne Wines-Reed.